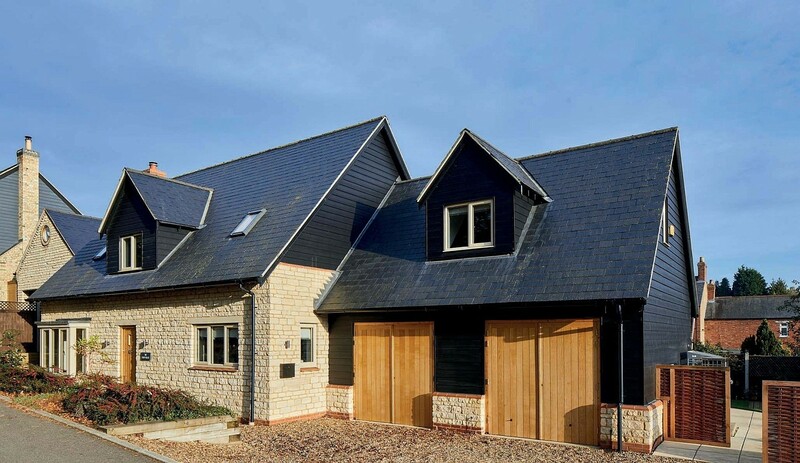 Mark and Sheila Hemingway had long dreamt of living in the beautiful rural village of Brigstock in Northamptonshire, but every time they saw a property come on the open market, it was never the right home with the price tag they were looking for. As their search continued fruitlessly, the couple started to consider whether self building would be a better solution to getting the house they were after, so visited some exhibitions to find out more. They’d heard of bespoke timber frame specialists Potton via friends, but weren’t convinced they’d get the style of house they wanted. But after visiting the company’s show homes they fell in love with the warm, country-style ambiance some of the properties off ered. “We saw some great designs we could imagine adapting to fit our specific plot of land to suit our exact needs,” says Mark. The plot was on the site of an old pumping station and there were plans for four additional properties to be built around it. The only drawback was that permission was already in place for a totally diff erent style of house – one the couple felt really wasn’t really in-keeping with the look of the village. 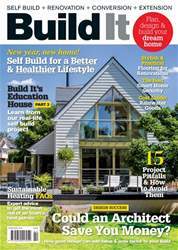 Build It is Britain’s longest running self build magazine. Each issue is packed full of inspirational and informative readers’ homes, as well as expert advice on issues from budgets and planning to project management and design. This month: - Renovating floors in a period home - Rainwater goods cost guide - Choosing the right smart home security systems - Could an architect save you money? Could an architect save me money?